Toulouse begin their European campaign on the back of a resounding 28-10 victory over Stade Francais, a win that lifts the four-times Heineken Cup winners into third in the Top 14. With memories of their failure last year to reach the quarter-finals still fresh in their mind, Toulouse will want to start well and the Italians shouldn’t offer too much of a challenge. Beaten in all six of their Heineken Cup outings last season, Zebre chances of springing a surprise are minimal, particularly as Toulouse welcome back Thierry Dusautoir into their squad after a long lay-off with injury. Treviso have turned their little patch of Italy into something of a fortress in recent seasons – at least as far as French teams go. Biarritz and Perpignan have both lost at the Stadio Comunale di Monigo, while last season Toulouse only pulled clear in the last quarter. That said, Montpellier have played some irresistible rugby of late, hammering Oyonnax on Saturday 45-20 and a fortnight earlier routing Clermont 43-3. Blessed with two of the in-form scrum-halves in Europe right now in Jonathan Pelissie and Benoît Paillaugue, the Mediterranean side should be too strong for their Italian hosts. But Montpellier are one of those French sides that attach far more importance to the Top 14 than they do the Heineken Cup and a trip to Treviso might induce complacency. 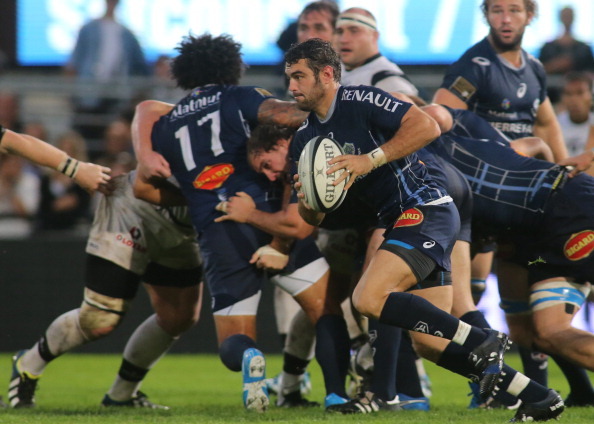 Castres edged home 21-16 when the two sides met in last season’s pool but neither managed to progress from a group dominated by Ulster. 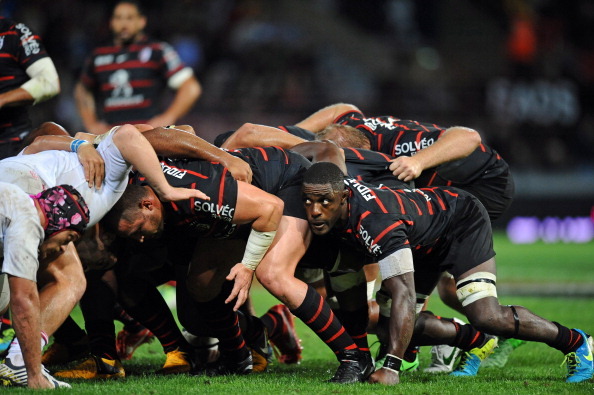 Castres went on to win the Top 14, stunning Toulon for their first title triumph in 20 years. But how distant those days now seem. Humiliated 34-0 by Brive on Saturday, Castres languish in 11th spot and according to reports this week in the French press the squad is being pillaged by the rest of the league. Scrum-half Rory Kockott has allegedly agreed terms with Toulon while Brice Dulin and Antonie Claassen are in talks with Racing. It’s all going wrong for Castres but pride may yet produce the sort of passion that characterised their performances last season. Perpignan have produced some moments of good rugby this season, most notably in defeating Montpellier 28-16 last month. Full-back James Hook is his normal reliable self and the assured performances of Camille Lopez at fly-half have given the Catalans more bite in attack. With Gloucester reeling from their 29-12 defeat to Exeter at the weekend – their second reverse this season – Perpignan should travel to Kingsholm without trepidation. USAP could give a run out to Luke Charteris, back to fitness after 10 months out with a knee injury, but whatever team coach Marc Delpoux selects he’s promising they’ll head to England “completely relaxed”. The leaders of the Top 14 take on the leaders of the RaboDirect Pro12, the only difference being Glasgow are unbeaten after five games while Toulon have lost three of their nine matches. The Scots have won well away from home this term, beating Ulster and the Scarlets, but heading to the Cote d’Azur will be a step-up. Unlike some French teams Toulon take the Heineken Cup seriously – as they showed in winning the trophy last season – and in Matt Giteau they have arguably the form player in France right now. The former wallaby fly-half has been sensational this season and was chosen ahead of Jonny Wilkinson for the clash with Clermont last season. Toulon won that encounter and their mighty pack will take some stopping if Glasgow are to get a win in the south of France. What a clash this promises to be, two teams with plenty of stars and plenty of inconsistency so far this season. 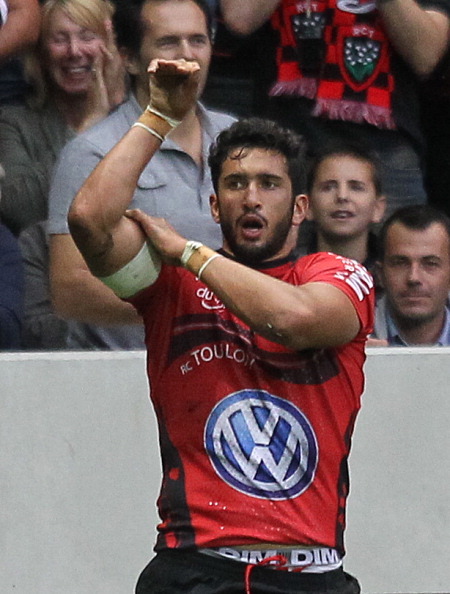 In between running up convincing wins over Bordeaux and Toulouse, Clermont – last year’s beaten European finalists – have suffered defeats to Toulon, Oyonnax and that incredible 43-3 thumping at Montpellier. Not that Racing have had their fans jumping out of their seats in excitement after nine rounds of the Top 14. The Parisians have managed just nine tries this season and on Saturday suffered the ignominy of a 22-20 home defeat to Grenoble. Bolstered by the return this week of Springbok lock Juandre Kruger and Argentine pair Juan Imhoff and Juan Martin Hernandez, Racing will need Jonny Sexton to bring all his Heineken Cup experience to bear if they’re to see off Clermont. Verdict: Home advantage sees Racing home by the skin of their teeth.